Those who love them would probably like to keep the secret of fine German wines to themselves. Here you will discover some of the most thrilling, complex and delicious drinking, with scintillating expressions of fruit, and wonderfully nuanced flavours that keep sweetness and acidity balanced on a knife-edge. In a recent poll on wine-pages, the question was put to our visitors: is Riesling the king of white wine grapes?”. From over 250 responses, a staggering 90.2% declared that Riesling was either “the ultimate white grape” or “one of the best”. I have absolutely no doubt that if you probed this group on their favourite Riesling country, Germany would have topped the poll. Yet despite the brilliance that German Riesling can achieve, the wines have struggled over recent decades to strike a chord with many UK consumers. A generation that was brought up drowning in an ocean of Liebfraumilch has failed to grasp that German wine has so much more to offer.Even the finest German winemakers have been faced with a double whammy: light, sweetish white wines were simply out of favour, and the complexity of German labeling made these wines a much more difficult selling proposition than varietally-labeled wines from Australia or Chile. To a certain extent these problems went hand in hand: it was no use updating the stuff in the bottle, if people still couldn’t understand the package on the shelf. But there has been a much-needed revolution in German wine in the past decade, spearheaded by the estate of Binderer St. Ursula in the Pfalz, who caused a sensation back in 1995 with the launch of their “Devil’s Rock” Riesling. Suddenly, centuries of almost indecipherable labeling, and a wine style that was at odds with many younger drinkers, were swept away in a boldly-packaged wine with a cheeky nod to Australian-style branding, and a recipe that saw a fuller, richer and much drier style. Newspapers and magazines were suddenly full of the story of this “quirky” German product, the beginning of a movement that has re-shaped the German wine sector on supermarket shelves. Faceless – and often ignored – rows of Leibfraumilch and Piesporter were suddenly being replaced by really good, modern wines from the likes of Devil’s Rock, Kendermanns, Lingenfelder and Fire Mountain. A string of good vintages for Germany has been the icing on the cake, with wines from 2000 – 2003 all being wonderfully ripe and high quality, meaning a bit of a golden age for German wine lovers. It seemed a good time to revisit and re-assess the wines of Devil’s Rock, to see if the mould-breaker had maintained the quality of the early years. The first surprise was to find that these wines are now packaged under “Stelcap” closures instead of cork – still a rarity amongst German producers, despite the wholesale switch to Stelvin for Riesling producers in the New World – and a welcome sign that the company is still progressive in its thinking. The second was to find the range had just been joined by a Pinot Grigio, the trendy grape rarely seen in German bottlings.Winemaker, Jakob Feltes says: “The Pinot Grigio comes from the Rheinhessen, where rainfall is minimal and the soils are lime-rich. The juice was very gently handled, and underwent a cold fermentation followed by ageing in by a few months in tank, to retain elegance, freshness, and above all, fruitiness. 2003 was an exceptional vintage, and hopefully this is reflected in the wine”. The Riesling matures “sur lie” for three month, and has residual sugar of about 11g/l. The wine has a beefy 12.5% alcohol by volume.I tasted the two main wines in the Devil’s Rock portfolio in November 2004 and found them to be thoroughly modern and thoroughly delicious. I hope that wines such as these – with abundant fruit and zest, yet full-bodied, just off-dry styles – really do help re-establish Germany and its wines in the hearts and minds of “everyday” wine drinkers. For all their success, many people are looking for a change from the ubiquitous Chardonnay and Sauvignon Blanc, and who knows: by discovering how wines like these can blow away old perceptions of German wine, there may well be a knock on effect for the finest Kabinetts, Spätleses and Ausleses further down the line. This has a pale, almost transparent green colour. On the nose it is very fresh, with a crisp red apples, a burst of lime and floral-edged fruit, and an underlying hint of tropical lychee and mango. On the palate there is a sweet attack at first, with notes of ripe pear and fleshy nectarine, but then a delicate but steely backbone of citrus pushes through. Well-balanced and with decent length, this remains easy to drink and just off dry, and is very good. Just about to be introduced on the UK market, lovers of juicy, uncomplicated but fantastically fresh and fruity Pinot Grigio should make a beeline for Waitrose on November 22nd when this product launches. 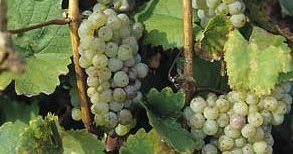 It has a pale yellow/straw colour, and a lovely, appetising nose of fresh pears, a little candied, tropical note, and a hint of fresh, grassy cut. It strikes the palate with a rush of sweet, peachy fruit and ripe pear freshness, with very crisp citrus acidity that plays nicely against a creamy, almost full-bodied style with a pleasantly grippy skin-contact and alcohol note in the finish (13.5%).